It’s time for more music videos with speculative stuff*. This time, I’m dedicating it to steampunk taking over the world! The ones I’ve selected range from classic steampunk to modern. It’ll make sense once you see the videos (hopefully). About the Band: Lovett is an independent band, fronted by Ben Lovett. Ben also works as a film score composer. About the Video: A mysterious man goes on a journey in his steampunk airship. The cinematic feel is most likely due to how it was created: Ben had friends in the film industry, who worked on the project for free. 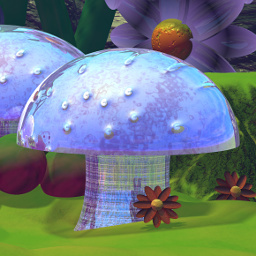 The mix of computer animation and live action creates a unique effect. Also, a dragon! Well worth watching. About the Band: [ME] (also listed as ME) is a new band. About the Video: A classic steampunk tale of a mad scientist. No steampunk collection is complete without a mad scientist. The video has a jerky style, which gives the impression of old film. 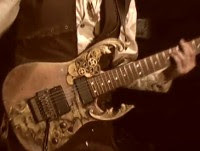 About the Band: Abney Park is a steampunk band, featuring steampunky lyrics and steampunk subculture costumes. These are the sort of people you’d find wandering around steampunk conventions. About the Video: This one doesn’t tell a story. It’s a performance video with the band singing in a club. Yay for airship pirates! About the Band/Singer: Gorillaz are a band known for only appearing as cartoons. Daley is a British singer. About the Video: Daley pilots a submarine through dangerous waters. He receives transmissions of the Gorillaz singing, shown on a screen in his sub. Modernised steampunk is one of those debatable things. There aren’t gears and steam here, but there is a focus on manual controls, do-it-yourself construction and a brass submarine. As far as I’m concerned, it has a steampunky vibe to it… and even if you disagree, it’s still a fun video. * The first post like this was back in 2008 (you can read it here: Music Mondays). I called it Music Mondays then, but Mashable has a feature called that apparently. And I didn’t post on Monday anyway. So now, it’s just music videos. Humbug on other people loving alliterations too! Discussions of the movie I, Robot tend to focus on how Asimovy it really was (or wasn’t). I was interested in another feature: how the uncanny valley was used in movie. This post talks a bit about what the uncanny valley is, how I, Robot used it and how that might relate to non-visual fiction. The uncanny valley is a theory about how people react to increasingly human-like things. The theory states that people become more emotionally positive to things as they become increasingly human. A lizard is more like a human than a turnip, so lizards get more warm fuzzy feelings. A monkey is more like a human than a lizard, so monkeys get more warm fuzzy feelings. But just before something reaches being a full human, there’s a drop in positive emotions towards it. This drop is the uncanny valley. It’s the point where a thing stops looking endearingly humanised and starts looking freakily sub-human. Or the point where a human is no longer seen as human and drops into the valley (zombies are the classic speculative fiction example of that… still all human and rather uncanny). Robot design is an area where this matters. Makers want to make their robots human-like enough to make people feel good about them, but not step too far and fall into the valley. The main use of the uncanny valley in the film is to signify evil. The old robots are humanoid, but they have a blockier build and clearly robotic faces. They’re shown behaving in sympathetic ways, such as robots in storage huddling together. These robots are at the positive peak. They show sympathetic, human-like features, without appearing to be too human. The new robots are down there in the valley. They have human-like faces, realistic eyes and rounded limbs, yet don’t look entirely human. Their voices are soft and more human-like than the old robots, yet also emotionless. The uncanny valley is telling you these robots are evil. This is a pretty standard use of uncanny valleyness. It manipulates the audience into sympathising with the old robots and distrusting the new ones. Why Don’t The Future People Think They’re Freaky? Other than the protagonist, people trust the new robots. Even the protagonist doesn’t think they look untrustworthy (not any more so than the old robots anyway). So why don’t the future people think the robots are freaky? One criticism of the uncanny valley is that it’s culturally based. A person’s experiences will change where (and possibly if) the valley exists. This is shown when humans drop into the valley. Supposing you had a friend who didn’t have hands. You have no problem perceiving your friend as being human. A stranger isn’t used to your friend, and places him in the uncanny valley. The stranger’s reactions are hostile and untrusting. This example is unfortunately not that hypothetical – people with obvious deformities, scarring and missing limbs can end up in the uncanny valley and are treated accordingly. The important point is that you and the stranger have different thresholds for what’s human and what’s not. However, given time, the stranger will get to know the friend, and will stop seeing hands as a defining human feature*. Back to robots, it’s clear that a society’s view on robot appearance could modify. What’s uncanny at first may not be in a few generations time**. (On the other hand, it’s possible there’s a limit on what people would accept as human. As we have no evidence either way, a story could take either view***). Why Do We Like Sonny? Sonny is one of the uncanny robots. This is emphasised in his early appearances, by displaying almost human behaviour. He dreams and can draw, yet draws with precision with both hands at once. He’ll fight to survive, yet does so with superhuman strength and agility. Unlike our friend with no hands, he’s not displaying completely human behaviour. It’s going to be difficult to overcome that feeling of uncanniness. By the end of the film, Sonny is showing human understanding of things like loyalty, deception and the value of free choice. It’s interesting that while watching the film, I have no trouble accepting Sonny, yet the screenshots still look creepy. Appearance may put a robot into the valley, but behaviour can pull them out of it. This shouldn’t be a surprise, as behaviour is the thing that tells you real humans are humans. Often a screen robot looks uncanny because its behaviour is a little off (this can also be true of 3D animated people… the audience picks up on tiny errors in the movement that betrays the fact it’s a simulation). How Do We Like Sonny? A human (whether they are or not). Any differences are accepted as normal human variation. Near-human. We may not have had a category for that before, but our brains start to realise there’s a middle-ground between human and not. An exception. We’d still find others like them just as uncanny, but the individual is accepted. In the case of the friend without hands, it’s going to be the first one. We soon realise that hands were never a defining part of being human anyway. The friend behaves in an entirely human way, so it’s not a difficult leap to make. With Sonny, there’s still a voice saying he isn’t human. Whether we’re seeing him in a near-human category, or he’s just sneaking closer to be seen as fully human, is hard to say. It would be fair to say that any one of those options could be realistic in a story. Stories don’t have the same visuals as films, but the ways character might react may be based on this principle. One interesting issue is that it might means it’s easier to accept a non-human robot as a sentient being with rights. The robot who falls in the valley has to overcome feelings of distrust – something an out-of-valley robot doesn’t have to contend with. The robot Asimo is a classic out-of-valley design. Roughly humanoid and able to move in a human-like way, but robotic enough that he doesn’t fall in the valley. People react in a positive way to Asimo****, and this would obviously be a great advantage if Asimo were sentient and trying to gain rights. People wouldn’t assume he was evil. On the other hand, Sonny has an uphill struggle. 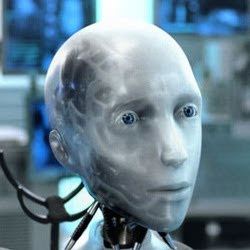 It’s interesting that the movie makers didn’t try to make Sonny look outwardly friendlier than the other new robots. The viewer has to overcome their own prejudices to see Sonny as anything other than the bad guy. Few robot stories deal with the potential issues of a robot facing discrimination for its appearance. Perhaps a new robot line would be a little too human-looking and not sell as well, so they face being dismantled for parts. Perhaps when it comes to choosing between believing the blocky robot and the almost-human one, a character might go with their instinct and chose the blocky robot (possibly with disastrous consequences). The sort of cultural change needed to accept an almost-human robot as human (or as definitely not human, and not uncanny) would take a long time to reach. In the meantime, all those robots in the valley have a problem. It’s odd that their problem doesn’t appear in fiction as much as you might expect. * This has some real world significance too, because it suggests that it’s important for people to have experience of a wide range of people. If they don’t, they run they risk of seeing other humans as non-human. ** In Doctor Who, Donna (a modern day woman) meets automated greeters at a library in the future. These greeters have human faces on them, to put patrons at ease. They’re normal to the future people, but freaky to Donna. *** Kryton, an android in Red Dwarf, has a blocky appearance. The crew discovers that earlier models look identical to humans. When asked why Kryton looks more primitive, he explains it’s because humans didn’t like their androids looking too human. Later models were made to look less human on purpose*****. **** One example was the reaction to the Honda advert where Asimo moves through a museum. Some watchers were moved to tears, as it shows a very positive view of technology… a friendly robot reacting the way a human might to the museum exhibits. Few (if any) people thought “that robot looks like a mass murderer… I wouldn’t let him near those gadgets”. The advert can be watched here. And just because it’s fun, dancing robots! ***** Though the way people react to humans in costumes is always somewhat different. Data from Star Trek was made to look slightly not human, in both behaviour and appearance. Yet he didn’t tend to set of people’s uncanny valley alarm. He’s a man in a costume and we know it. Sonny photo is Copyright © Twentieth Century Fox Film Corporation. Used for review purposes. The special effects weren’t very special and the costumes were rather bright*. These are the sci fi television series I grew up with**. Or at least, the ones first broadcast before I was born***. I watched many repeats. This list doesn’t claim to be the best of old science fiction. I know there are some famous ones missing, but I kept it to those I enjoyed most. They’re ordered by date of first broadcast, with the oldest first. Premise: Freaky dark stuff happens. Be afraid. Ramblings: The earliest on the list is also the most atypical. Each episode was a separate storyline, often with dark and twisted endings. If you think you’ve got a unique twist ending for your story, the Twilight Zone probably did it first. The stories tended toward the psychological, rather than action. Some were social commentaries. TV censors hadn’t cottoned on that science fiction could be used to comment on real world issues, so the Twilight Zone merrily (or not so merrily) got away with it. The Good: Thoughtful plot lines and a willingness to break new ground. The Silly: It was a tad over-reliant on twist endings. Which worked when the series was fresh and new, but some of them haven’t aged well, due to being used countless times since then. Premise: The Doctor comes from an alien race called the Time Lords. He travels through time in a TARDIS, which happens to look like an old police box. Ramblings: The early Doctor Who episodes tended to have plots which took many episodes (often a whole series) to wrap up. The Doctor, and his various companions, would have adventures in the past, future and on alien worlds. The special effects were awesome BBC explosions (awesome compared to having no explosion at all). It’s hard to sum up the whole run of series, as there were many Doctors and many plotlines. I liked the Tom Baker era, and his companion Romana (also a Time Lord). I tended to like the alien and future episodes best, but there were some fun historicals too. The Good: The fluid nature of the series meant creative storylines. The Silly: During the Jon Pertwee era (when the Doctor was stranded on Earth), synthesisers were all the rage. They added a synthesiser sound to everything. Mysterious object hits the Earth with a thud… with added synthesiser. Doctor hits his elbow on something… more synthesiser. It’s like giving a toddler a music box. Premise: The Robinson family head into space to colonise Alpha Centauri. But it all goes horribly wrong, and they end up lost… with a deceitful doctor and rogue robot along for the ride. Ramblings: The first series tried to have plot and continuity. After that, it gave up trying. But it kept the silly right up to the end. Lost in Space is a classic for its silliness, but it lacked any attempt at long lasting themes. I remember it for the robot, more than anything else. The Good: It had a robot. The Silly: When Mrs Robinson did the laundry, why did she haul the wonderful future clothes washing device outside? Especially as it only took a few seconds for it to clean, fold and wrap the clothes in cellophane. And on that note, if I had a future clothes washing device that wrapped all my clothes in plastic, I wouldn’t be happy. I don’t want to unwrap my clothes in the morning. I want the throw them on and go. Premise: In the distant future, Earth has formed a large Federation of planets with other peaceful alien races. These are the adventures of Enterprise, the flagship of the Federation’s fleet. Ramblings: Most people have heard of Star Trek. It’s spawned many spin-off series and films. The series combined entertaining fluff with social commentary, appealing to a wider audience than programmes like the Twilight Zone. The upbeat view of the future was appealing. The idea of Earth as a nice place to live, with the chance of becoming a space explorer, can’t be beaten. The Good: The way it snuck in serious themes. A few episodes still got banned, but they got away with the rest. The Silly: That fuzzy camera filter whenever an attractive woman appeared, just in case you’d missed the fact she was attractive. Premise: The time tunnel is a time travel device, built as part of a secret government project. Two scientists go through the tunnel, but there’s no way to bring them home. Ramblings: Time tunnel wasn’t big on accuracy, either scientifically or historically. The stories were fast-moving and entertaining, as long as you weren’t expecting something serious. The Good: Having the people in the present watching the travellers was a good dynamic. It let the viewers know things the travellers hadn’t figured out. The Silly: Despite being thrown through time randomly, they’d always land at some major event in history. What are the odds? Premise: A former British secret agent is held captive in a mysterious village. Ramblings: This series is famous for the quote “I am not a number – I am a free man!”. Everyone in the village had a number, with the main character becoming Number Six. The village was a strange and surreal place. Anything could happen. The story followed Six’s attempts to escape from the village, and find out what was going on. The Good: You never knew what would happen next. The Silly: Those big floaty white bubble balls were the silliest. But I liked them anyway. Premise: A space plane flight goes horribly wrong, stranding the crew and passengers on a mysterious planet. Everything on the planet is huge, including the inhabitants. Ramblings: This series had all the stereotypes. The dashing captain, the lazy/deceitful fat man, the cute boy and his dog, the fairly inept female characters in short skirts. It was fun, in that cheesy kind of way. The Good: I liked the feeling of being tiny in a huge world. You can’t beat a few giant paperclips. The Silly: I could mention how Valerie always kept her yellow outfit so beautifully clean (whilst wandering around drain pipes). But the real problem was mathematics. The scale of the little people to big people changed as the plot/special effects demanded it. Premise: The moon is knocked out of orbit, sending it on mighty space adventures. Along with the people living on it at the time. Ramblings: Even as a child, I found the setup rather tricky on the suspension of disbelief side. It’s easier to imagine a spaceship with a special engine than a moon with no apparent propulsion (other than the initial explosion). Still, they had adventures, and that was fun. The Good: Living on a rogue moon wasn’t the most usual of ideas at the time. It was appealing, if not very plausible. The Silly: For a moon knocked out of orbit, it was moving terribly quickly. This is the secret of faster-than-light travel. Just knock yourself a moon out of orbit and hop on board. Premise: The Cylons, a robotic race, wipe out the twelve planets colonised by humans. The surviving ships form a convoy and set out for the mythical planet of Earth. Ramblings: The convoy of ships was a neat setting. It could have been used more, rather than relying on finding a new human colony each week. Overall, it was good fun. The space battles were with single one person fighters, making for more exciting fight scenes. I liked a lot of the characters, which wasn’t true of all the sci fi offerings of the time. I liked that the Cylons weren’t the fault of the humans. The ‘humans make advanced robots who wipe them out’ plotline is rather common. Less common is for an alien race to be the ones capable of making the robots, getting wiped out and leaving their legacy behind. The Good: The colony/wagon train dynamic worked well. The rich tried to hoard the food, the former inhabitants of the different planets had different cultures and didn’t get on, and the civilians retrained into professions needed by the fleet. The Silly: Triad – a ball game played by the crew. It isn’t the game that’s silly. It’s the costumes. It looks a lot like underwear, with kneepads and a hat. I couldn’t take it seriously as a child. I still can’t. Premise: An astronaut (Buck Roger) is frozen in space. Centuries later, he’s revived. Ramblings: By this time, the honeymoon period of colour television was fading. So were the costumes. White and neutral colours were the theme of the day. Buck Rogers was given a lot of responsibility for a guy cast forward so many centuries, with no clue what was going on. But it had lots of shooting stuff and action. There was wish-fulfilment angle here, that someone from the present day could end up in the future having adventures. The second series included more serious themes. It also didn’t have great ratings and got cancelled. I liked the serious side though. My favourite character, Hawk, appeared in this series. The Good: I liked how the scientist was an old guy wearing a cardy. Most present day clothing didn’t survive to the 25th century, but the humble cardigan made it. The Silly: I like robots, but I didn’t like Twiki much. His voice was just too silly. * Shortly after colour television came along, there was a period of “oh yay, colours”. And so they added in as much colour as possible. Everywhere. The more it clashed the better! The future was definitely not white and silver. ** Live action only. Cartoons would confuse things a bit. And puppets would be a whole list on their own, just with Gerry Anderson. *** 1980. This might seem arbitrary. It is. However, a quick look showed that the number of possible listees mushroomed hugely after 1980. It’s as good a cut-off date as any.